The 2018 Risk Summit Series is officially over. After months of preparation, hours of traveling and some lost luggage our team executed G2’s largest event yet! Not only did G2 travel the globe, our team traveled to three major cities consecutively. Thanks to our clients, industry partners and event sponsors for making the 9th annual Risk Summit Series so special. We hope to see you and many more again next year. Watch the full event recap video above. Attendance was at a record high and that number will rise next year, which will mark a decade of Risk Summit Series events. A lot has changed in the payments industry over the last ten years. New regulations, new payment players and alternative payment methods are constantly shaping and molding the payments ecosystem. Coming together as an industry and sharing best practices helps to ensure that your portfolios remain compliant throughout each regulatory shift. This year’s event focused on the power of data and how those in the payments industry can utilize it to manage risk and protect against fraud. Harnessing the data available to make products smarter and help clients efficiently is what G2 does consistently. Think creatively about data sources and use assets in new ways to help your business succeed. If you aren’t consistently taking chances, then chances are your products aren’t evolving. Pilots are essential for stopping merchant violations. Take a chance, run a pilot and measure results. Keep in mind that innovation needs to be introduced economically and must function within the industry rules and regulations. When you have valuable data, maximize the value through curation and augmentation. Make sure to avoid unnecessary use. Remember that every time data is reused it is more valuable and thus more efficient. For more information on combating the growing threat of transaction laundering, please visit our resource library page where you will find a variety of case studies, webinars and infographics. Also, watch for the release of G2’s downloadable transaction laundering detection game, which only G2 Risk Summit Series attendees have had the chance to play. 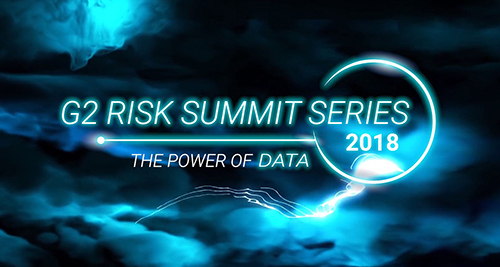 Will you join us next year at the 2019 G2 Risk Summit Series? If you have suggestions for content or locations, please reach out to us at risksummit@g2llc.com.